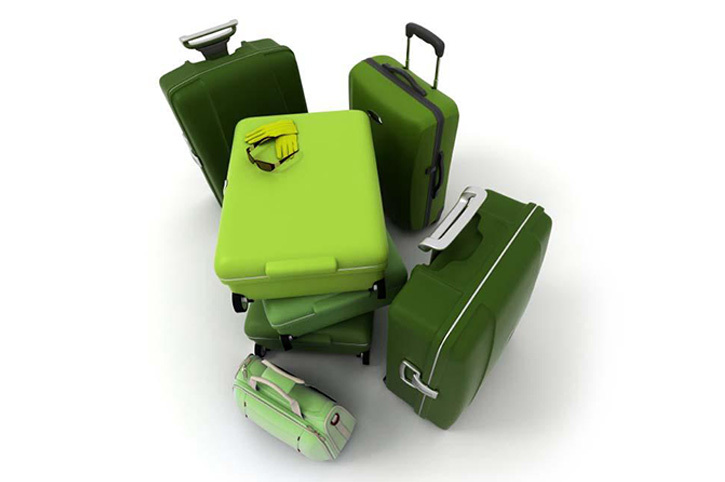 Following a few holiday safety travel tips can ensure a pleasant and trouble-free trip. If driving to your destination, ensure that your car is in good condition and road worthy. Have the oil changed and check the tires and wiper blades. Winterize the car with antifreeze. Make sure there is a spare tire and a jack. If you are unfamiliar with changing a flat, have the car owner's manual handy for reference. If traveling where chains might be needed, become familiar before leaving on how to attach them. Whether by air or car, weather conditions can affect travel significantly. Watch for weather updates. If bad weather does strike, allow extra drive time and slow down. For air travel, check for alternate flight availability in case of airport closures or delays. Let neighbors and family know that you will be away. That way they can watch your home for suspicious activity. Give them a contact telephone number and itinerary so they will know how to reach you in an emergency. Burglars look for empty homes; don't advertise yours as one. Put mail and newspaper delivery on vacation. Put lights on a timer to come on and go off at various times. Keep a radio playing to imply someone is home. Cell phones are great in an emergency, as long as they are charged. Have it fully charged before leaving. If driving, purchase a car charger to keep it at full power. If you have use the cell phone, be sure and pull over or have a passenger make the call. Whenever traveling through airports or unfamiliar locations, stay alert to avoid pickpockets and petty thieves. Keep personal items nearby at all times. Use a money belt to secure your cash. Keep the purse flap on the inside, next to your body. Don't look like a potential target. Stay mindful of these holiday safety travel tips on your next trip. You can stay safe and have a wonderful time when you plan a trip to visit your next must see destination.